At Paris in 2015, Prime Minister Justin Trudeau pledged to limit Canada’s share of increased climate warming to no more than 1.5 degrees. That translates into a 30 per cent reduction in greenhouse gas emissions (GHGs) below 2005 levels. The First Ministers agreed to this in 2016. In fact, carbon taxes will always be limited to ensure that Canadian businesses are not disadvantaged by competitors’ prices and to avoid economic disruption that would motivate greater market intervention. But they are largely ineffective in reducing GHG emissions. Both the UN Environment Program and the OECD have noted the inadequacy of Canada’s emissions reduction targets. This system makes pollution a commodity through credits and offsets that allow for financial corporations to profit from polluting industries. Some provinces have adopted similar plans. Others are challenging carbon taxes in the courts. The Doug Ford government cancelled Ontario’s cap-and-trade program along with hundreds of renewable energy projects (wind, solar, thermal) already under way. 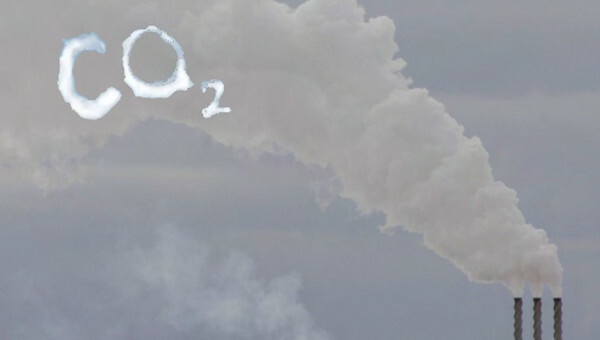 As James Wilt noted in a Briarpatch article, carbon pricing doesn’t regulate emissions, it just puts a price on them based on an arbitrary calculation, the “social cost of carbon,” that tends to ignore the “externalities” – the cumulative emissions, feedback loops, and disproportionate impacts of climate change on countries in the Global South. These are not encompassed in corporate cost-benefit analysis. For business, they are just a cost of doing business. In 2018 alone, the federal government announced $19-billion in new investments in dirty oil. $4.5-billion went to the purchase of the Trans Mountain pipeline. (The Parliamentary budget director says the government paid one billion too much.) The new pipeline will triple the quantity of oil transported, at a cost to taxpayers of $9.7-billion. Once operational, it will increase the number of supertankers in the Vancouver harbour from 40 to 600 per year. As the owner of this major pipeline, but also its regulatory authority, the government has placed itself in a huge conflict-of-interest situation. And that’s not all. Last fall, Finance Minister Morneau announced $2.7-billion in support for investments to encourage oil companies to invest and produce more. In January, Trudeau announced $1.7-billion more in credit lines to the oil industry. And Alberta, frustrated by the delays in the Trans Mountain project, will lease 4,400 railway cars which it says will move up to 120,00 barrels of oil per day by rail by 2020. Trudeau has of course come out in support of the $40-billion LNG Canada project in northern British Columbia, the largest infrastructure project in Canadian history. LNG Canada is a carbon hog, its construction and operation being incompatible with the B.C. NDP government’s own carbon-reduction targets as well as Ottawa’s. These subsidies, in total, rule out any possibility of achieving the government’s vaunted carbon reduction goals. And then there are costs of restoring the tar sands lands, estimated by Alberta’s oil regulator at $260-billion. Imagine if these amounts had instead been invested in sustainable development and renewable energies. Since the last election in 2015, tar sands production has increased by 24 per cent. In November 2018 the NEB forecasted that domestic oil production will grow by 58 per cent and natural gas production will grow by 29 per cent between now and 2040. The forecast assumes the feds will implement the carbon tax as planned and that new pipelines will be built to accommodate rising production. Just days ago, the NEB gave its go-ahead to Trans Mountain for the second time, pursuant to the review dictated by the Federal Court of Appeal’s overturn of its initial approval last August. The government itself acknowledges the failure of its approaches. In a report issued in December the federal department of Environment and Climate Change said the policies currently in place will deliver only three-quarters of the emission reductions required to meet Canada’s Paris target. But the minister, Catherine McKenna, maintains Canada is on track: she says she is counting on investment in public transit and the adoption of new technologies such as the electric car over the next 12 years to close the gap. This is a common hope, frequently encountered on the left as well. But it’s an illusion. Ecosocialist Ian Angus exploded the myth that geoengineering, nuclear power, carbon storage and other techno-fixes – all of them promoted by the U.S. socialist magazine Jacobin – can be viewed as solutions to climate change. By way of comparison, a recent study by Robert Gross of the Imperial College of London concludes that the average period required for the adoption of the four most recent leading electrical production technologies – nuclear, gas turbines, photovoltaic (solar) cells, and wind turbines – was 43 years. Adoption was defined as being well established but not yet dominant. Which means that if we want to avert catastrophic climate change by 2050, we are essentially reduced to using existing technologies. Putting aside the Canadian governments’ commitment to expanding reliance on fossil fuel production and export, which is completely irrational in view of the scientific evidence on the source and pace of climate change, the parallel reliance on market mechanisms to compensate for emissions through carbon credits and technologies (not to mention nuclear) is equally deficient. The central error is the attempt to respond to the climate challenge without challenging the sacred cow of growth and competition for profit of a capitalist system that is 85 per cent reliant on fossil fuels. In particular industries, unions can develop plans for alternative climate-friendly approaches. A good example is the Canadian Union of Postal Workers campaign, “Delivering Community Power.” Establish postal banking, create a renewable energy postal fleet, make post offices solar-powered community hubs for digital access, provide charging stations for electric vehicles, etc. Integrate letter carrier services with support to enable the ageing and disabled to live independently. These comments borrow heavily from many authors more informed than I am on this topic. In particular, my thanks go to those linked in the article, as well as Daniel Tanuro and Michael Löwy – Richard Fidler. This article first published on Richard’s website Life on the Left.